It is a integrated measurement system (24V DC) consisted of tesnsion and pressure sensors / transmitter. The main advantages are light, small, simple operation with LED display. It can be fine-tuned to do correction and has digital filtering function, and therefore enchnced the stability and reliability of the system effectively. It can be matched with various range of force and pressure transmitter according to the requirement by users so that it is mainly used in automated production equipment for flexible monitor and control. 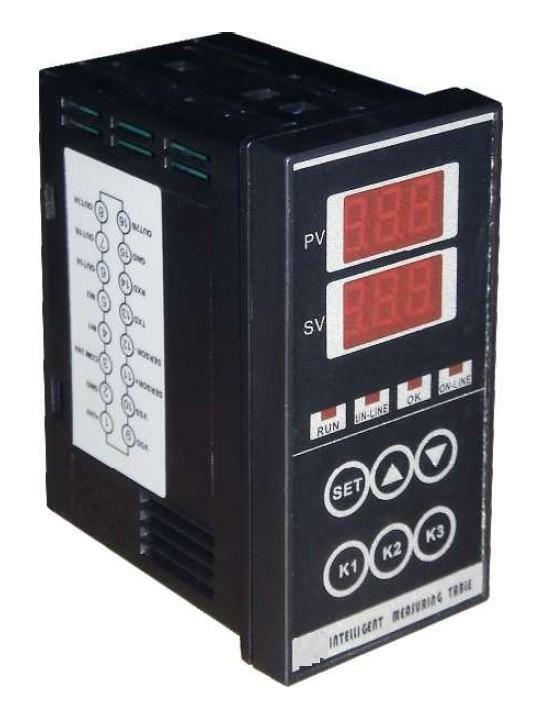 All models with 24VDC input power and RS232C communication.